What a wonderful day we had! 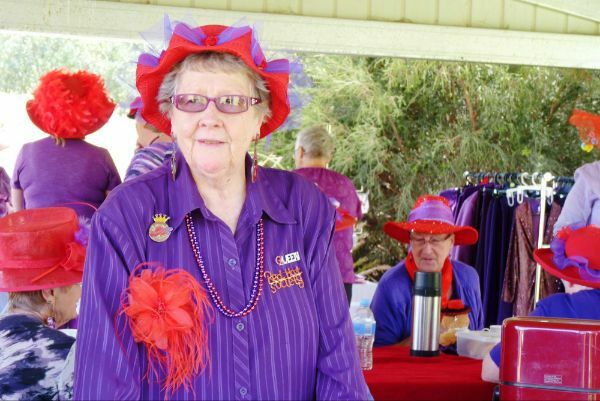 We really splashed colour over Kidstown with over 50 Hatters, from many chapters, getting together for a fun day. Michele from Red Madness gave us the opportunity to buy bling and clothing. 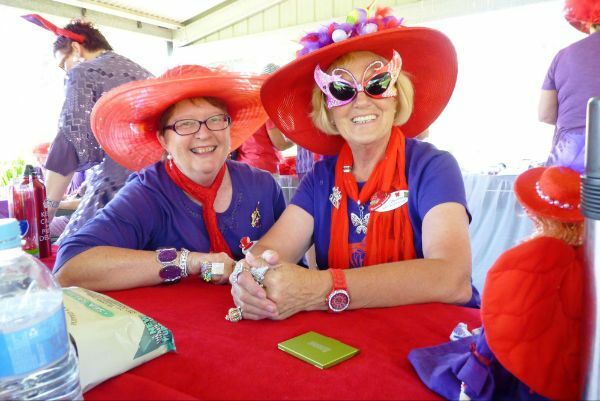 Many ladies from the newer chapters along the Murray were able to stock up on Red Hatting merchandise. 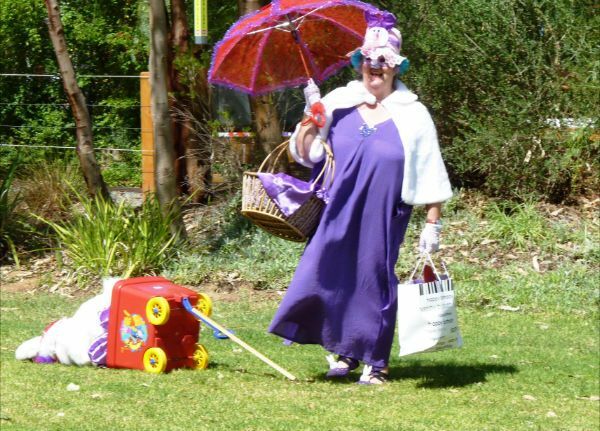 The Easter Bunny made an appearance, scattering eggs everywhere. After lunch, the miniature train gave us loads of laughs. “Let’s do this again next year”, was the cry.